While being influenced by pottery making traditions adopted from his teachers, Will Ruggles and Douglass Rankin, Shawn’s wood fired pots continue to change. 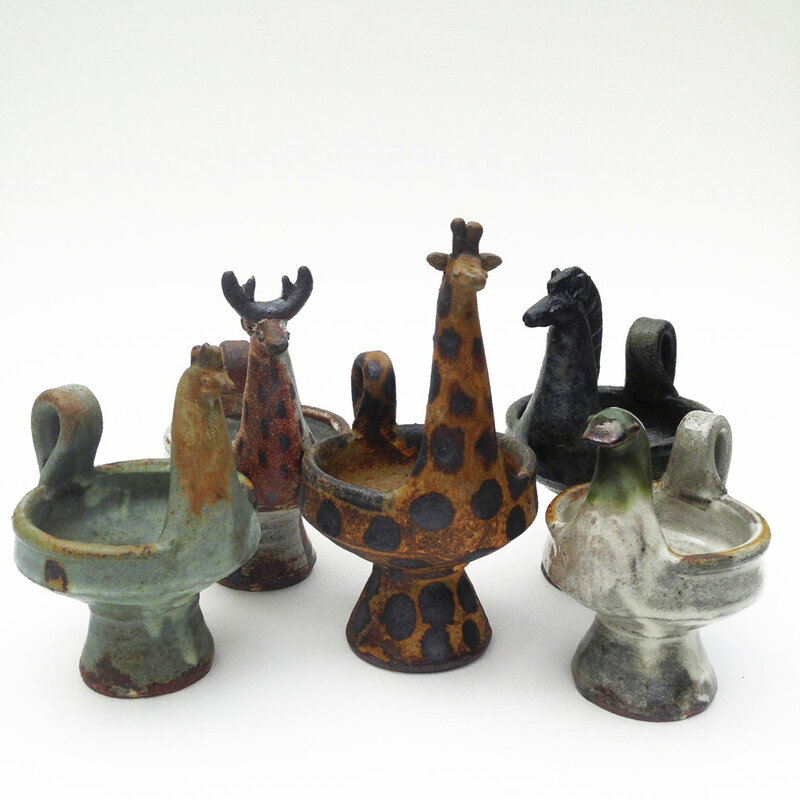 He makes useful, rustic pots for the home, but several trips to Italy have inspired a sculptural direction in the form of zoomorphic candlesticks, vases and bowls he calls Animalware. Since 1997, Shawn has exhibited his clay work in many galleries and juried shows including the Smithsonian Craft Show and Philadelphia Museum Show. His pots have made there way into homes all over the world. He has been a Resident Artist at Penland School of Crafts, the University of Georgia Study Abroad Program in Cortona, Italy and at the Scuola Internazionale di Grafica, Venice, Italy.